Need more information about booking Home 5799601 ? 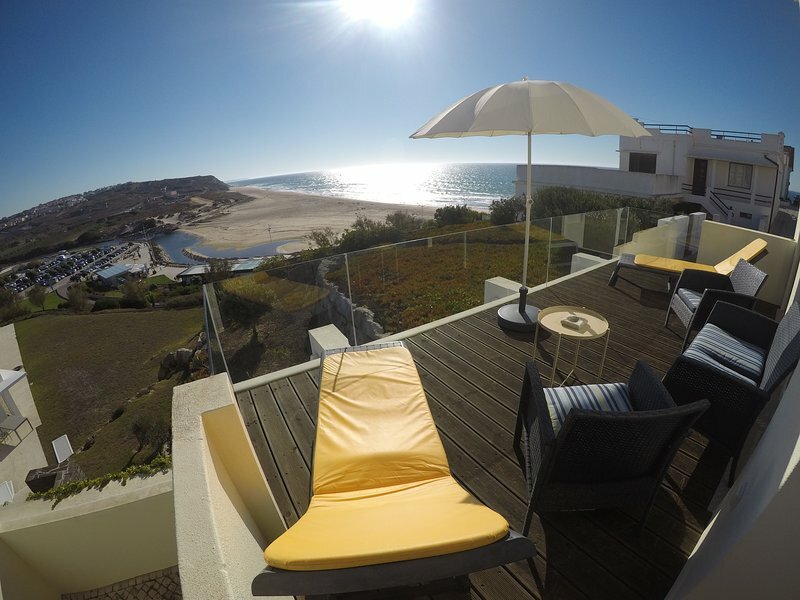 Located on the cliff that forms the Praia da Areia Branca, the Casa do Velha Terra provides the perfect place for those who appreciate a stay by the sea, rest and enjoy all the activities and customs that this region may offer. Just one minute walk from the house you may have contact with the fantastic white sand that forms our beach.The house has 3 bedrooms, fully equipped kitchen, living room with LED TV and free hi-fi in all rooms.Through the outdoor terrace you will enjoy the privileged view of the Atlantic Ocean.